Here is the ultimate vacation experience in your own exclusive paradise. This condo is a mid-century modern perched high above the city in a quiet residential area, with breathtaking views of city, the sparkling Gulf of Mexico, blue skies, flaming sunsets and dazzling lights that stretch as far as the eye can see. Walls of windows open on to lush tropical gardens, terraces and pool. Inside offers a sleek, smartly furnished and simply sophisticated setting for family reunions, corporate retreats, special occasions, holidays or relaxing for no reason at all. All rooms are furnished to the same high standard of comfort and top quality. Each room has a view either to the yard or the city. 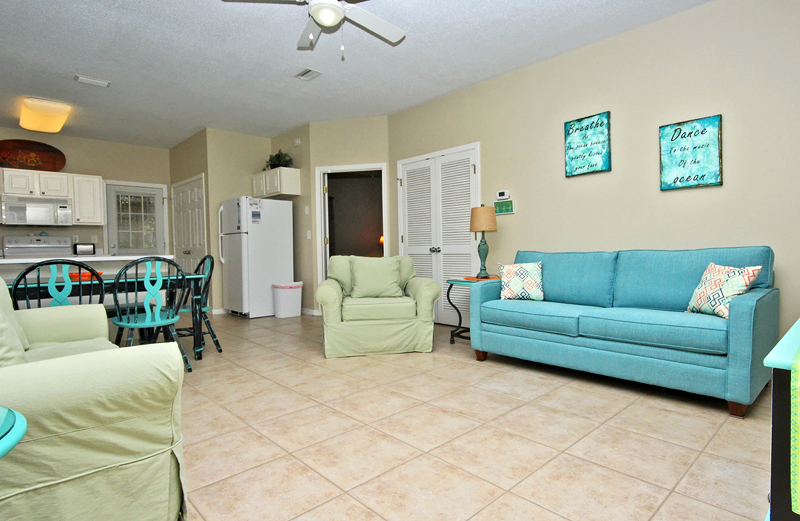 The condo has three bedrooms, two bath that is beautifully decorated with tropical touches throughout and sleeps up to eight guests. We have a full-size kitchen with everything you could ever need on vacation and a washer and dryer for your comfort also. 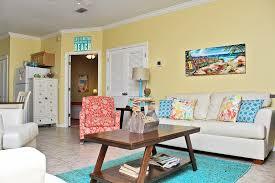 The living room is very comfy with a queen-size sleeper sofa to accommodate two more guests. When you decide to venture out, Orange Beach, downtown shops, dining and cultural opportunities is all just a few minutes’ drive from the condo. 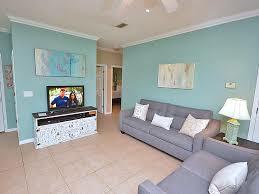 The condo vacation rental rates $100 per night. Until confirmed, rates are subject to change without notice. We look ahead to having you as a part of our yearly rental family.